I have started many drafts for this post. I wanted to discuss my 2018 goals, then I wanted to write about my first couple weeks in Washington, then I wanted to do a bucket list, and finally I wanted to reflect on my feelings from the first couple weeks in Washington. Clearly, I need to just get something out since there are a lot of thoughts swirling around in my mind these days. I’ll start by saying it’s been a little over 2 weeks since we moved here, and if I am being honest, I have lots of mixed feelings. 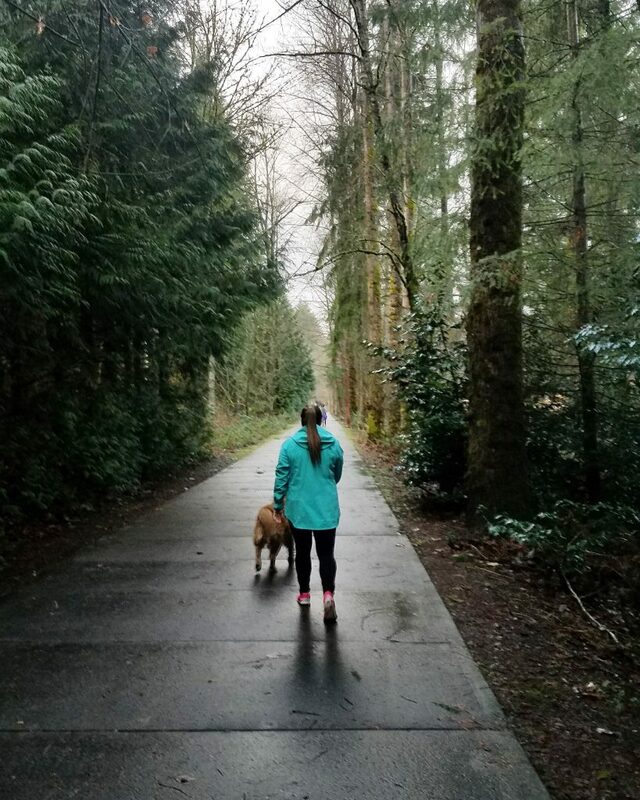 I am enjoying finding new, fun places to spend my time like the local coffee shop, Issaquah Coffee Company, as well an abundance of seafood in comparison to Salt Lake, and being surrounded by nature all the time. The culture is much different than Salt Lake — SLC is very conservative while Seattle is very liberal, kind of one extreme to another. I’ve been keeping a list of thoughts that cross my mind as I make this transition. I’m sure I’ll return to this list and laugh at what surprised me. Wow, the speed limits are slow! Get offered beer at lunch at a restaurant? Everything here is either 6-10 minutes away or 20+ minutes. Where’s the middle ground? Holy crap, prices of everything are higher!! It’s dark all the time. It’s only a seasonal thing, but still! Should we get Koda a raincoat? She’d look very cute in it. Brighton’s career is no longer unique, LOL. Everyone here is in tech, video games, or software of some sort. This townhouse was made for a tall person! Panera, I missed you! So long Paradise Bakery Cafe. Totally not the same. No, seriously, does it ever stop being gray? They are serious about recycling out here. Compost at a Chipotle? Anyways, that’s been what I’ve been considering over the past couple weeks. I’ve been trying to keep an open mind about our new home, but it’s hard not to miss my friends, our home, and most of all, familiarity. I have to GPS pretty much everywhere at this point. I rejoice when it’s a little bit sunny. Yesterday, I took a photo of the blue sky since it seems to be a rarity. I’ve been using the HappyLight and Vitamin D supplements to help with the lack of light and sun. We went to Hannah & Jay’s wedding in Leavenworth, and her family, WA natives, said their “trick to beat Seasonal Affective Disorder (SAD)” is to get into the mountains. Brighton and I said, great since that was going to be our “trick” too! It’s nice to see some familiar faces in these early days. My parents ended up helping us pack/move/drive out to Seattle right after the New Year. I was so thankful that they were willing and able to help us. 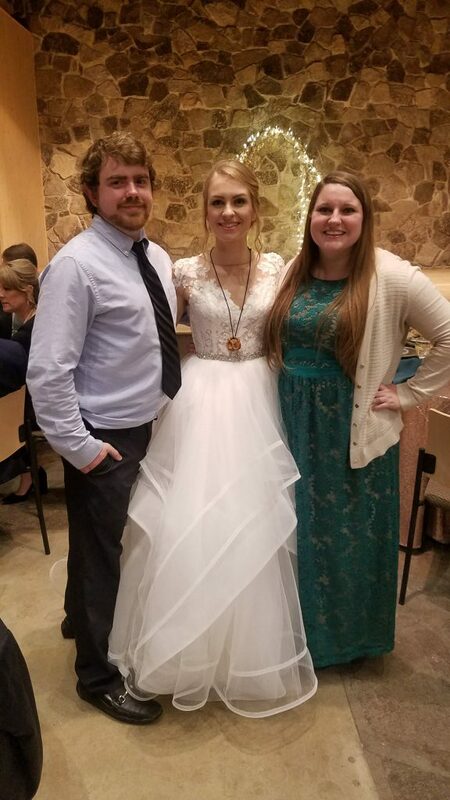 We both had so much going on from hosting Christmas, me working my Utah job, interviewing for my Washington job, packing the trailer, two photo session including one wedding, and then both Brighton and I got sick during the whole process. I was overwhelmed but handling the spinning plates, but once my parents entered the equation, I could feel my anxiety reduce greatly. 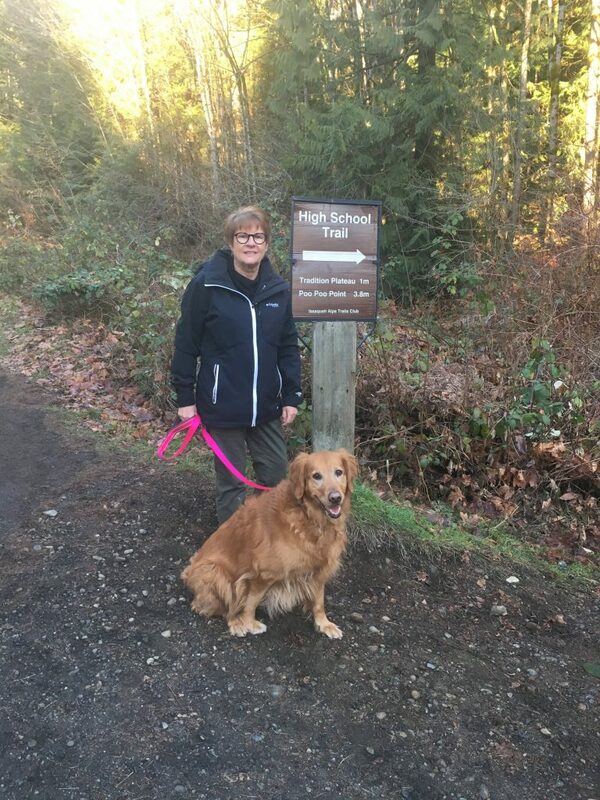 When we got here, they helped us get settled in the new townhouse and my mom went on a short hike near our house for Hike 1 of 52 (see below)! 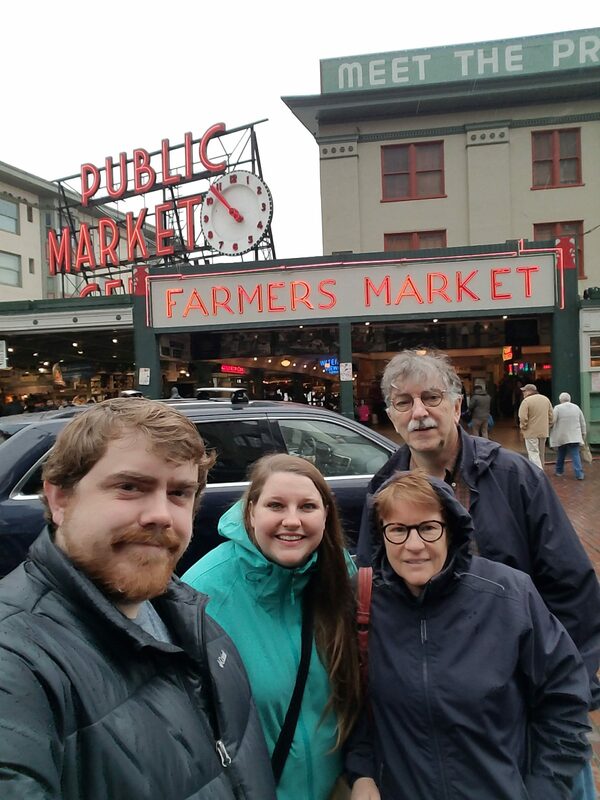 We also played tourist a little in Seattle on the day they left and went to Pike Place Market. I was very sad to see them leave. 🙁 It was nice to have them around for a good 3 weeks. My long-time friend, Sherri, is also in town visiting which helps with the familiarity factor too. When I start my job on Monday, I am sure that I will start to meet more people. In the meantime, I am going out of my way to put myself out there. I plan to go a Facebook meet-up group this weekend on a snowshoe adventure. I have also trying to fill my days with lots of appointments and errands, so I don’t get too stir-crazy at home by myself. Unfortunately, a couple of those visits were to the vet for Koda and Diggles. Koda developed a little limp and started licking her paws non-stop so I took her to the vet. 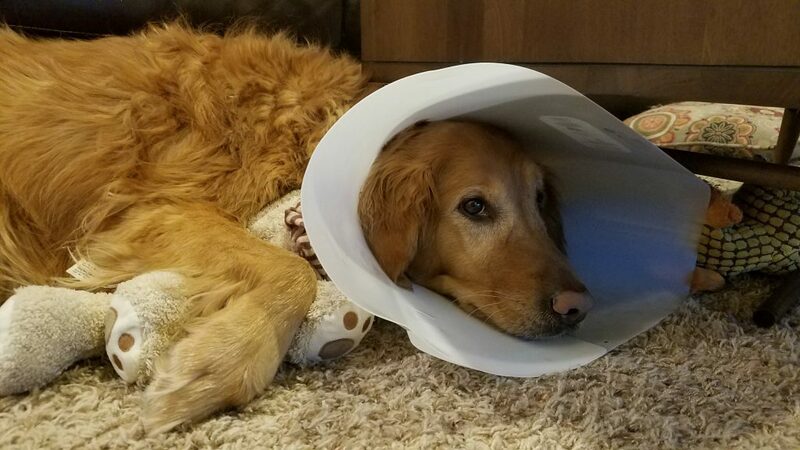 They think it could be a small fracture, but right now she’s in a cone of shame so she doesn’t keep licking it. Diggles (our cat) has developed extremely bad breath, and while we have tried many home remedies to treat his teeth/mouth, we decided to get them cleaned by the vet. When I took him into the vet, they told me that his teeth/gums were so bad that they were going to have to pull ALL OF HIS TEETH. Apparently, teeth for cats are more of a “luxury”. What?! Anyways, next Wednesday we will have a toothless cat. 🙁 I’m very sad for Diggles, but I hope this means he’ll be in less pain. 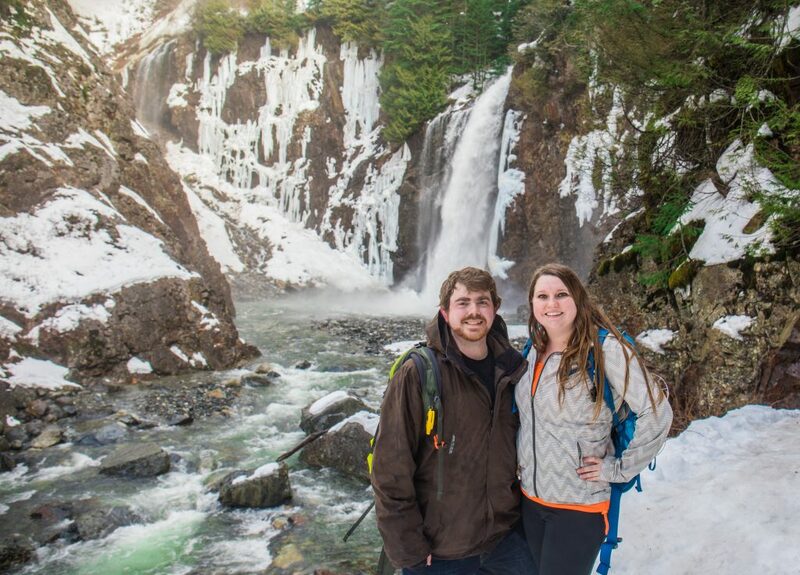 On a happier note, I’ve decided to try the 52 Hikes Challenge, and last weekend, Brighton and I went to Franklin Falls. I will write a separate post for the hike itself, but it was beautiful and the day in nature really helped me recharge for the week. We also tested out the drone and 360 camera that we got for Christmas. Lastly, I just got my hair cut after growing it out for a while. I’ve been wanting to donate to Pantene’s Beautiful Lengths for a while, and never had the guts to get it chopped. 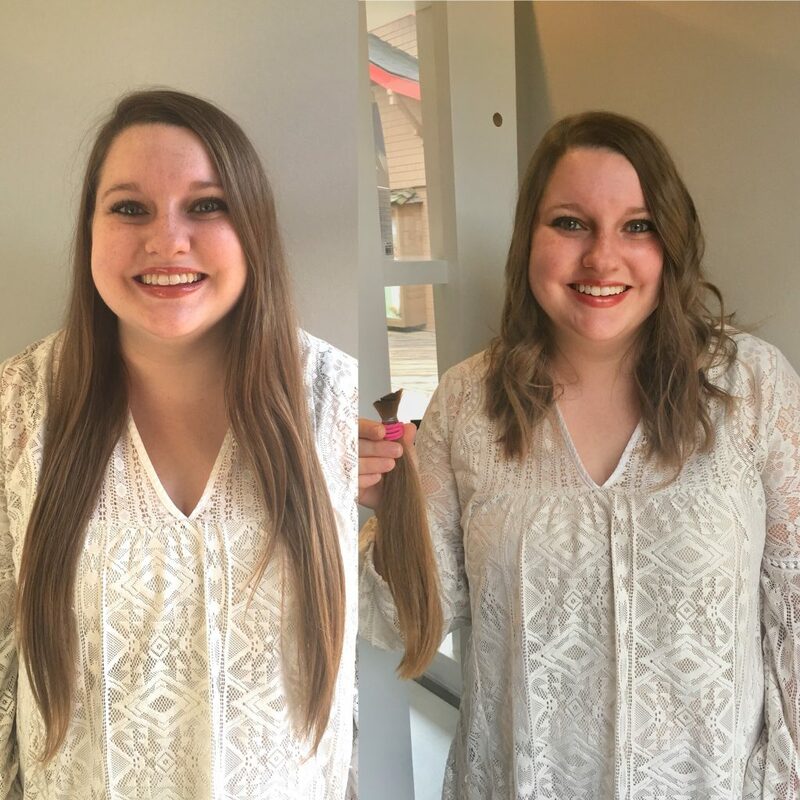 My stylist at Chromatique Salon, Taylor, was so happy to help me accomplish this donation and was so sweet! I am happy with my new “do” and it’ll be nice to have a fresh look for my new job! In all, it’s been a good first couple weeks out here in Washington as we get used to the area and changes. I would say that I am homesick (for Utah) and miss being able to go “home”, but I am sure that will get better as we can get out there to see what WA has to offer! Any tips for settling into a new city?